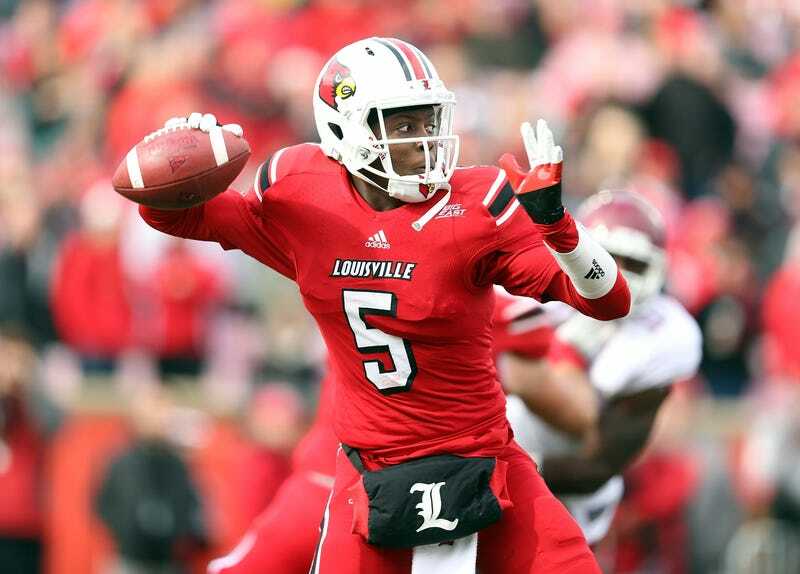 A little (ha) palate cleanser: Get a load of Teddy Bridgewater, quarterback for Louiville, hero of the Big East title game, in this game program from Louisville's match-up with UConn last weekeend. Which one of you guys plays quarterback? Seriously, though, compression shorts are not for everyone. We learned that the hard way.